Mr. G. Giridhar Prabhu, Director, Achal Indutries Pvt. 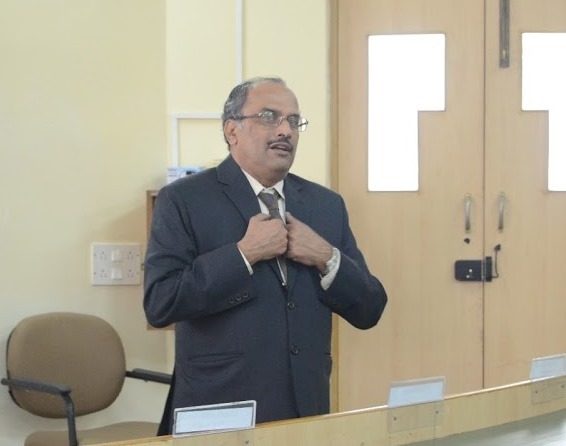 Ltd. and Chairman of Economics Research Centre, Mangalore; delivered an invited talk on Indian Financial Sector. The talk focused on highlighting various issues pertaining to the Indian Financial Sector, at the institute on November 19, 2016. Mr. Giridhar analysed the implications of GST on export sector and opined that impact of GST on the export industries will be positive. The talk concluded with a discussion with the SDMites on certain strategies to make India and Indian Bankers the best amongst the world.